Bear Creek Spire and Mount Dade are a majestic backdrop in Long Lake in the Little Lakes Valley. I got home from another stint down in the Sierra Nevada a few days ago. Like previous trips, this one was a long, hard journey. Unlike previous trips, my feet help up better this time and I was able to enjoy the hikes in a much higher degree of comfort. Aside from the state of my getaway sticks, this was my favorite trip so far in terms of destinations. The focus of this trip was on high elevation destinations in the central and southern part of the range. 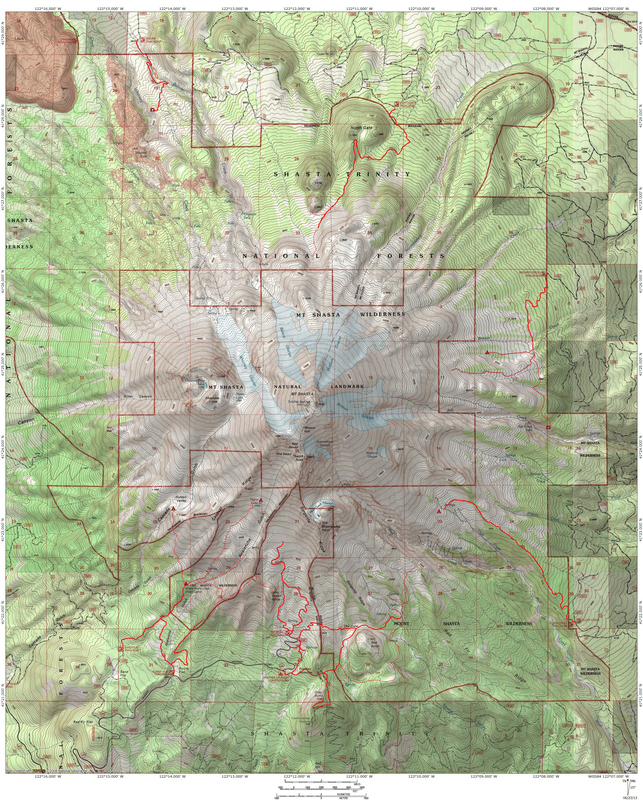 Many hikes had elevations over 10,000 and 11,000 feet. Such rarified air meant spectacular settings. This was certainly the case as I traveled through some of the Sierra’s most stunning settings. I certainly am grateful for the opportunity to explore this magnificent mountain range this summer. The trip began in the range’s central highlands. 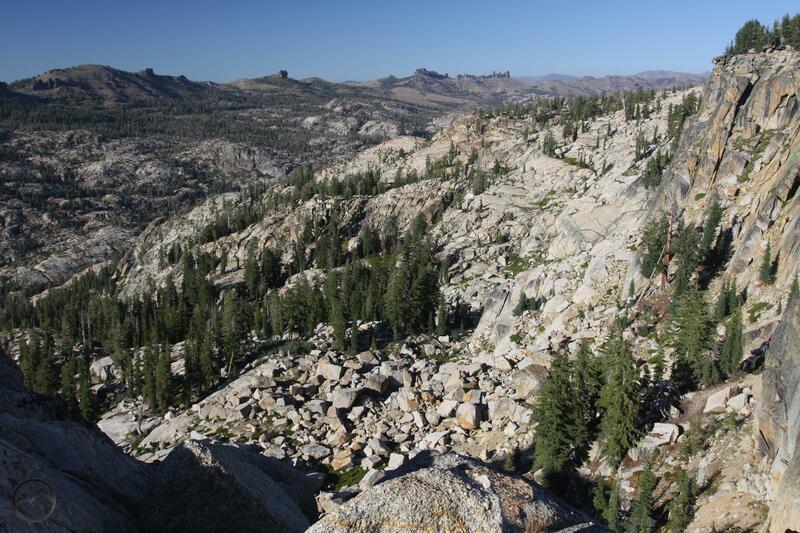 The northern part of the Sierra Nevada is much like the Klamath Mountains, with a mix of different rock types punctuated with large granite batholiths. 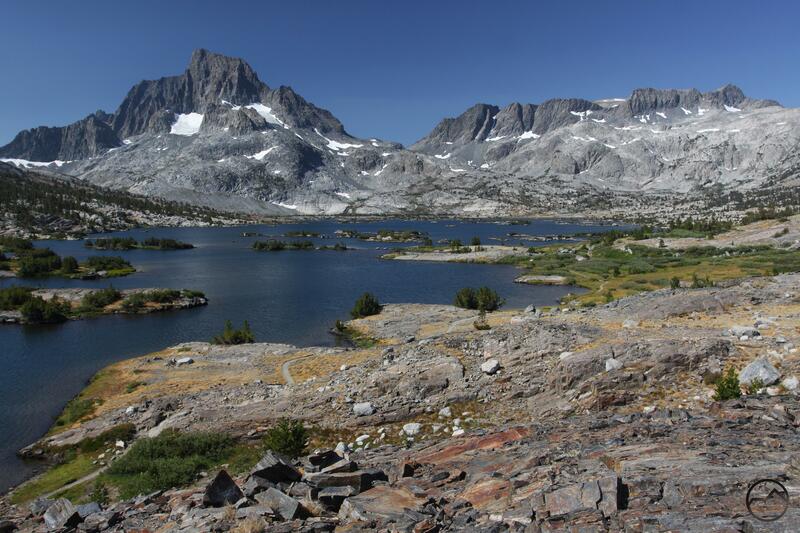 The southern part of the range, the classic High Sierra, is a vast sea of stark, glaciated granite. The central part of the range is also dominated by granite expanses but these are frequently overlaid with volcanic rocks. Most of the highest peaks in this area are the remnants of old volcanos or lava flows. The juxtaposition of classic granite with the volcanic rocks creates an unusual appearance in contrast to other, more famous parts of the Sierra Nevada. 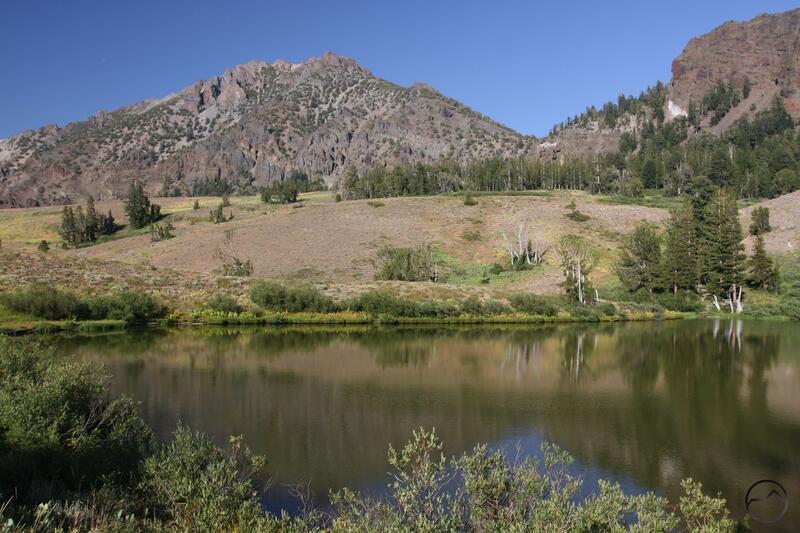 After this I moved south, hiking trails in high country that rises west of the Sierra crest. It was from here that I finally swung around the southern end of the range and made my way up stunning Highway 395. 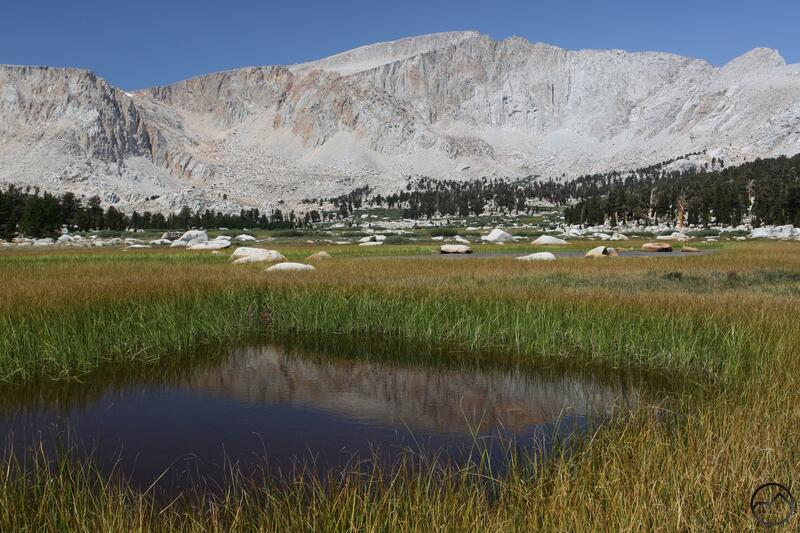 From here I embarked on a series of incredible trips in the High Sierra. This is one of the most magnificent slices of mountain terrain found anywhere. The first hike I did on this trip was along the PCT to Nobles Lake. The hike starts at 8,736 Ebbetts Pass. It travels through a series of small streams choked with wildflowers. These colorful plants are a striking contrast to the twisted, volcanic landscape. The poorer soil and eastern location mean this is a drier, more arid environment. Nonetheless, it is quite scenic with a series of peaks over 10,000 feet looming over the small lake. Views to the north toward the ragged summits of the eastern Mokelumne Wilderness. The next day I ventured into the southern end of the Mokelumne Wilderness. The trail was a lesser used route that leads to scenic Wheeler Lake. Most of the use this particular wilderness area receives is focused on the north side (understandably since it is gorgeous), leaving this area much less frequently traveled. 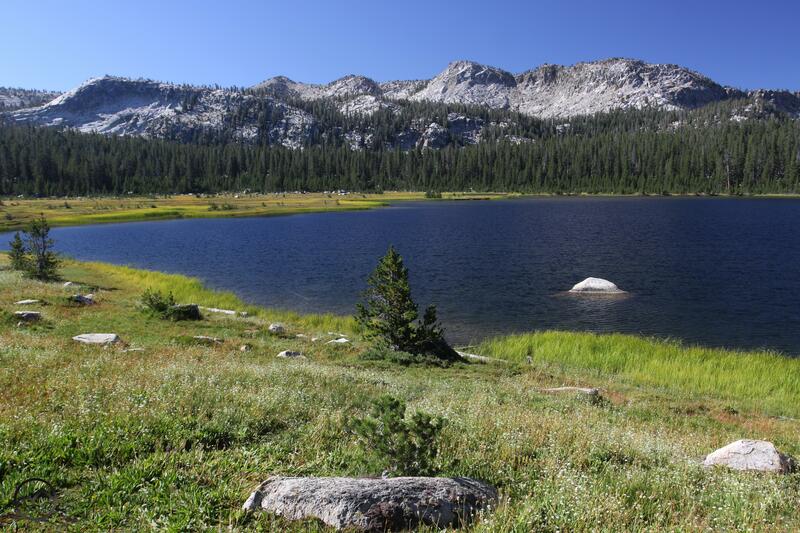 The hike has a few views of the Mokelumne’s interior and a few meadows before arriving at the lake. Situated in a large granite bowl that is in turn surrounded by high volcanic ridges, it is a classic central Sierra Nevada landscape. That afternoon I hiked a pair of shorter trails beginning at Lake Alpine. Both of these trips crossed over into the Carson-Iceberg Wilderness. The first went to shallow but pretty Duck Lake. This lake is found in lovely meadow amidst rolling granite bluffs. While gray Bull Run Peak rises to the east, the dark volcanic bulk of Inspiration Point looms immediately south of the lake. A few pioneer cabins provide some interesting history. The other hike ascends Inspiration Point for a fantastic view. 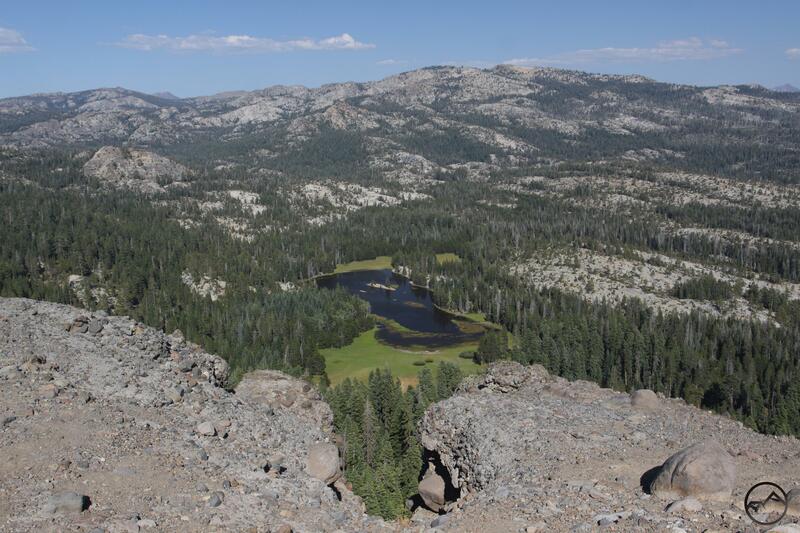 From the summit much of the Mokelumne Wilderness is visible to the north while to the majority of the Carson-Iceberg Wilderness unfolds to the south. Especially prominent is the black ramparts of the Dardanelles. The next morning I drove up to Sonora Pass and hiked up to awesome Blue Lake. This is an area unlike any other part of the Sierra Nevada. Here the volcanic terrain climbs to much higher elevation that it does elsewhere in the central Sierra Nevada. Reaching elevations over 11,000 feet, this area is a beautiful mix of alpine scenery and barren rock. The trail climbs steeply up the canyon, staying close to a series of creeks and passing through a succession of meadows with a panoply of wildflowers. Arriving at Blue Lake, the trees have long since been left behind and there is nothing but rock, snow, azure water and blankets of colorful flowers. That afternoon I made my way further west and hiked into the Emigrant Wilderness. This area is not heavily used despite being what amounts to an extension of Yosemite. Loaded with lakes and primarily consisting of classic granite terrain, this area is a real gem. I hiked over the historic Burst Rock emigrant route (from the 19th century, hence the name) to both Powel and Chewing Gum Lakes. The former is in a shallow granite bowl and has interesting volcanic pinnacles lining the horizon. Worth noting, the northern Emigrant Wilderness is found at the point of transition where the stark white granite of the High Sierra meets the ruddy volcanic geography of the central Sierra. It is an unusual and attractive meeting. 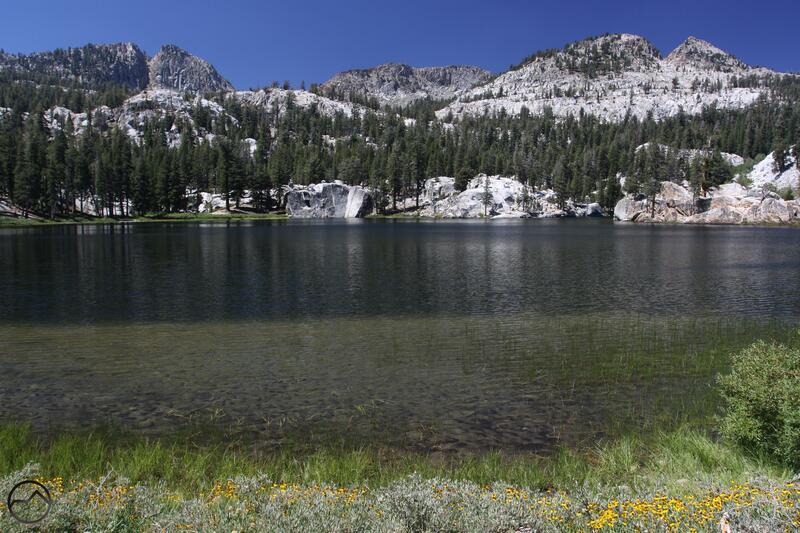 The second lake on the hike, Chewing Gum Lake, is situated in a meadow-filled valley lined by high granite cliffs. I finally left the central Sierra and made my way into the highlands that lie to the west of High Sierra. The first of these is the remote Kaiser Wilderness. Consisting of 10,000 foot peaks and almost two dozen lakes, this is compact mountain region. Numerous trails converge at the Twin Lakes and I hiked the one coming in from the north. This trail gets a little less use but is still quite pretty. It makes a few crossings of a raucous creek and passes some pretty cascades. Arriving at Upper Twin Lake, a number of peaks tower high above, forming a great backdrop to a very attractive lake. Lower Twin Lake, though not as majestic, is still very pretty. From there the trail loops around a meadow and boasts views of awesome Mounts Ritter and Banner in the Ansel Adams Wilderness to the north before returning to the trailhead. The Dinkey Lakes were the goal of the next hike. 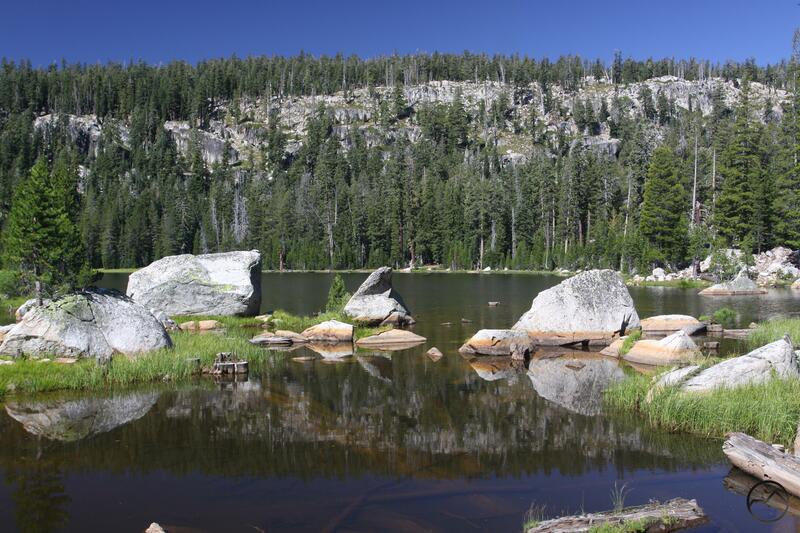 The highlight of the Dinkey Lakes Wilderness, this area is a gentle landscape dotted with granite peaks, meadows and numerous lakes. Following Dinkey Creek from the hard-to-get-to trailhead, the path reaches a scenic standout at First Dinkey Lake. This lovely lake is surrounded by meadow and has great views of the Three Sisters. From there the trail loops past three more lakes, each with its own distinct character, before returning to the trailhead. This area may lake towering summits but its gentle beauty is wonderful. The next stop was Sequoia National Park’s isolated Mineral King. The drive into this beautiful mountain valley is notoriously curvy and it certainly lived up to its reputation. After finally arriving at the trailhead it was time to climb up to beautiful White Chief Basin. 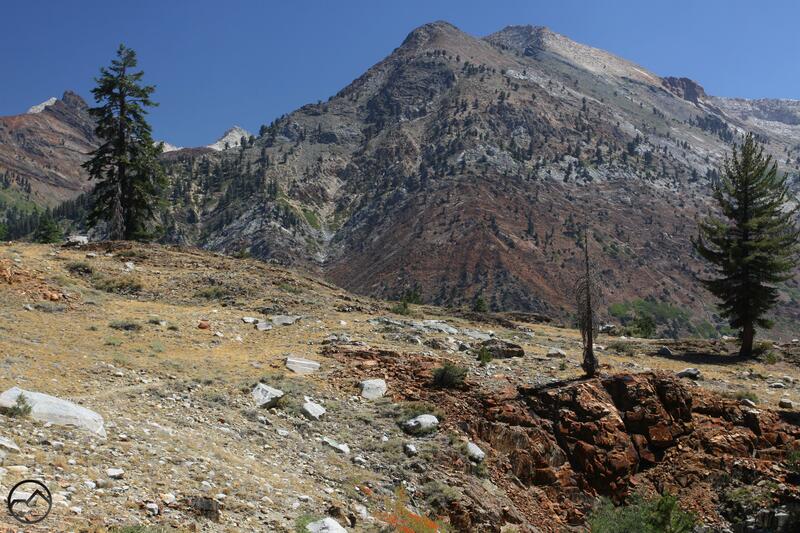 Initially following the East Fork of the Kaweah River, the trail then climbs up to the alpine basin where there is fascinating, historic mine. The climb up to White Chief Basin has excellent views of the the multi-colored peaks. The geology of the this area is very reminiscent of Colorado’s San Juan Mountains and like those illustrious peaks, this area was mined extensively. From Mineral King I headed south, crossed over the Tehachapi, and drove north to Lone Pine. The next morning I spent scrambling around the Alabama Hills. There are not too many sunrises better than watching the color change on Mount Whitney framed by the Mobius Arch. 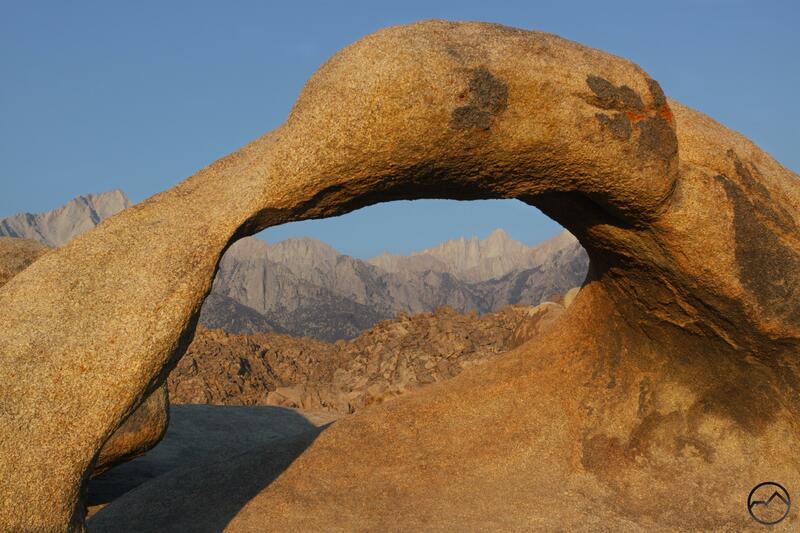 The Alabama Hills are a fantastic place to explore, hike and climb on the decaying granite boulders and peaks. The incredible escarpment of the Eastern Sierra is one of the best vistas you could hope for. Later that day I drove up to Horseshoe Meadow and then hiked to the Cottonwood Lakes. 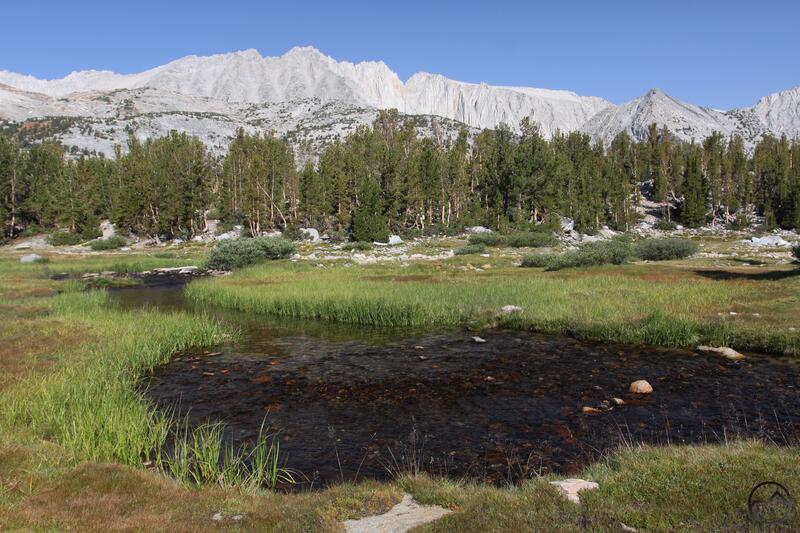 These lakes, the southernmost redoubt of the epic John Muir Wilderness, are part of an unusual biodiversity complex. One of the original homes of the Golden Trout, the area is also blanketed with Foxtail Pines. Common in the southernmost Sierra Nevada, they are also, interestingly, only found 400 miles to the north in the Klamath Mountains. They are quite notable while hiking above the Deadfall Lakes en route to Mount Eddy. 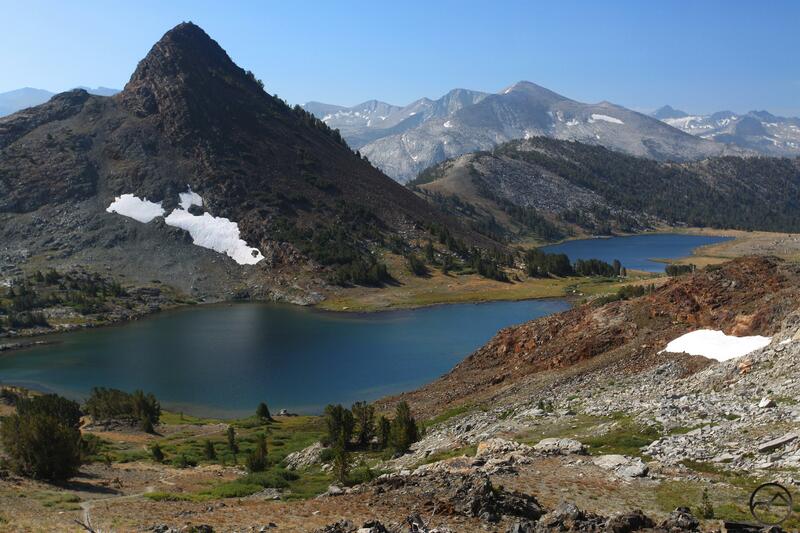 The Cottonwood Lakes themselves are spectacular and are made all the more so by the towering presence of Mount Langley, the southernmost of the Sierra Nevada’s mighty 14,000 foot peaks. Next up was the utterly superlative Little Lakes Valley. This is simply one of the most amazing hikes around. 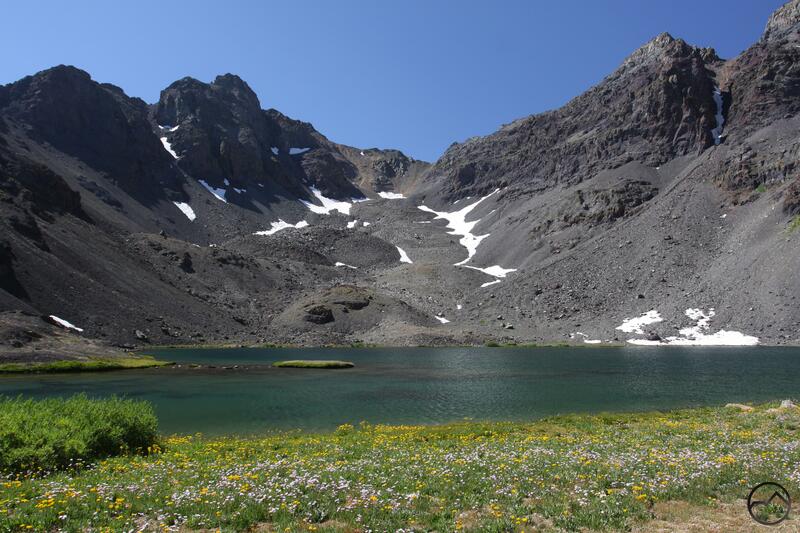 With six named lakes and a number of smaller tarns, several large creeks, numerous lush meadows and an unforgettable series of serrated 13,000 foot peaks, this trail has it all and for very little price. Only 6 miles roundtrip and with just a few hundred feet of elevation gain, this is an easy hike with a massive scenic payoff. Of course, it is a popular trail but leaving early in the morning (when the light was the best) I had this paradise to myself. While the previous hike was easy, the next one was much harder. Fortunately, my awesome, awesome brother drove over from his home in Carmel to join me on this epic day. 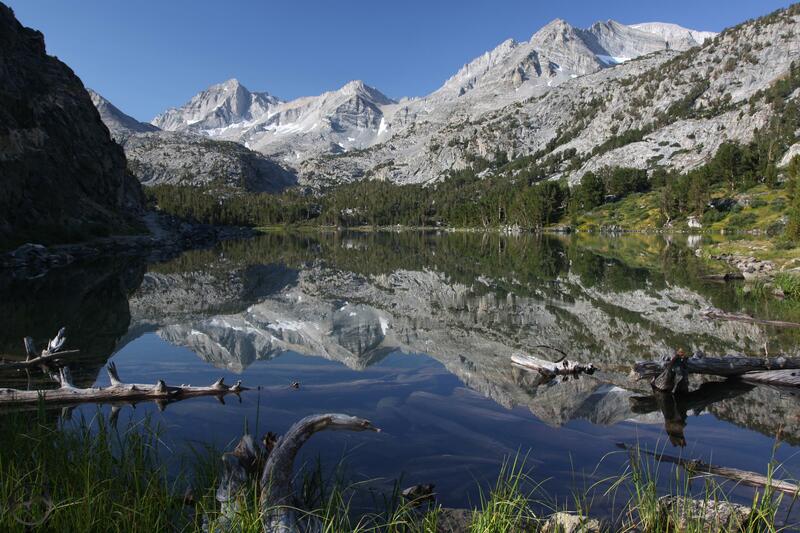 The destination was the Ansel Adams Wilderness’ Thousand Island Lake. We got an early start and followed the San Joaquin River all the way to the lake. This is one of the most iconic, staggering and beautiful places in California. From there we crossed over to equally spectacular Garnet Lake before dropping down to spectacular (yet again) Shadow Lake. Along the way, we had constant views of Mounts Ritter and Banner and evolving vistas of the striking Minarets. This was an epic, epic day. I closed out the trip with a hike through Yosemite’s Gaylor Lakes. My brother joined me on the trail again before he headed back home to his family. Though it has a stiff climb at the beginning, this is one of the most vista-packed trails you will find and with awe-inspiring views of Yosemite’s high country. Along the way the trip passes four very beautiful lakes and an old mine complete with old rock buildings. This hike may not be very well known but it is one of Yosemite’s best. It made a fitting conclusion to an unbelievably awesome trip. With this trip done, I have one more trip south with just a handful of hikes in the High Sierra. With only a few trails left to hike, it is time to switch my focus on the manuscript (which is already a work in progress). I will have one more book update when I get back from my next trip but beyond that, this blog may go silent until the end of October, when my manuscript is due. Thanks for following along up to this point!